My alarm clock rings at 5.25 a.m. every morning. On our first evening together, the five of us new apprentices in the Wempe flat-share decided that each of us would have 15 minutes in the bathroom each morning. Of course, that meant some organisation. So you can imagine that things were a bit hectic in our place in the morning. Everything from wild pounding on the bathroom door if someone took as much as two minutes too long, to discussions about who would wash up what. But it didn’t take long for us to get into a very good mutual rhythm, and – except for arguments about which TV station should be on ☺ – we have lived together without problems. Our working days are very different. That is precisely what makes becoming familiar with this career so attractive to me. 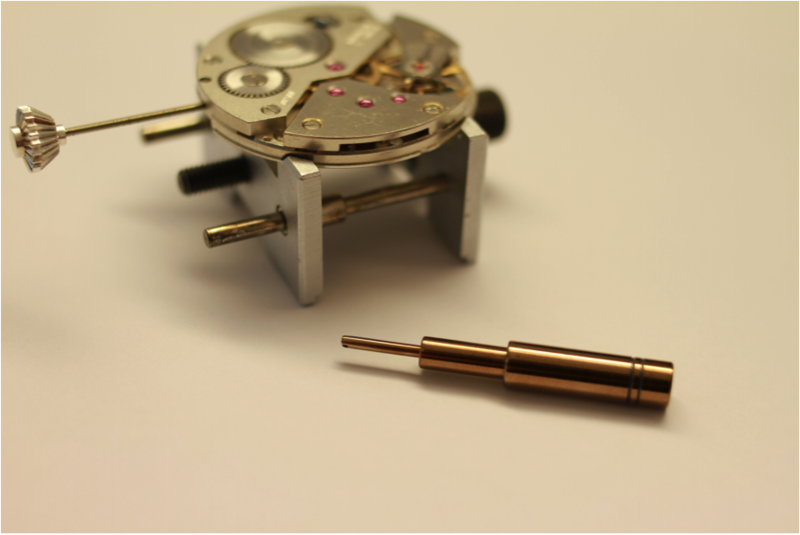 We have new challenges and tasks every day in the turning, filing and repairing of watches. We can see the progress we have made every day, even if it is only small things. Sometimes not everything goes right initially in the production of components. Our trainers look after us individually and take time to answer all the questions any of us may have. In the end, after a bit of practice and a few tries, we did in fact manage each individual production, and were ultimately all the happier, and proud to be able to exhibit a perfect creation. Our productions thus far have included a hand-setter (a joint project in the first year of the apprenticeship), a balance support, a coupling lever and a tool to set the blom stud. The best and most challenging thing about it is that we are always required to think for ourselves in advance how we would like to manufacture the parts. 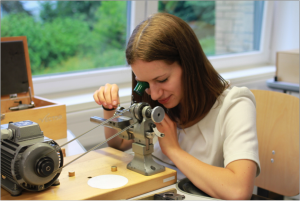 The various theory lectures and the informational material are also a great help in our efforts to make progress in our apprenticeship to become a watchmaker and expand our knowledge. Some of the topics we cover include: lubricating clocks, synthetic rubies and the adjustment of an ETA movement. Every two weeks, we, the apprentices, give short lectures on specific topics. This allows us to pass on our knowledge and provide an overview to the others. The breaks are a real highlight. The view across all of Glashütte from our terrace is wonderful. There, you can find the peace and quiet required to refuel your energy and regain concentration. It is the small things that make the apprenticeship at Wempe so unique: we are a great team who interact well with each other, which makes you want to come to work. I think being able to enjoy your career is one of the most important things of all. 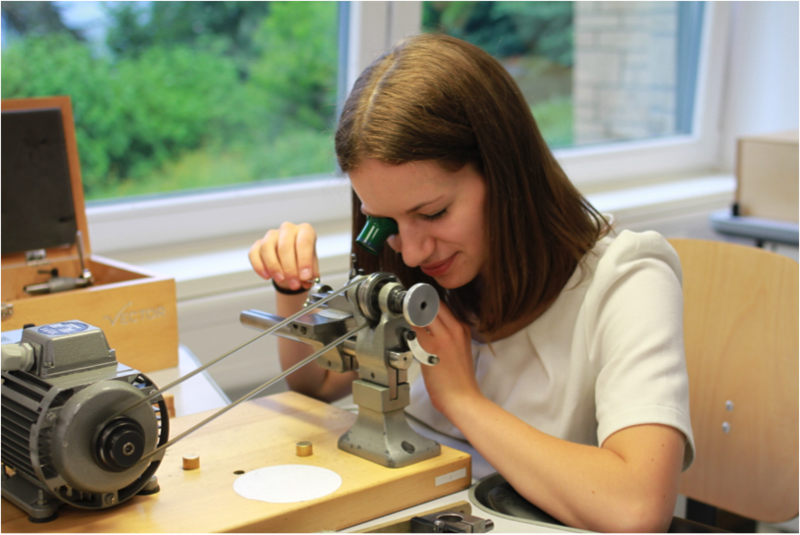 It’s true that Glashütte is a small place, but there is still a lot to discover here, and it is THE watchmaking city in Germany, after all. What’s more, there are various hiking trails, no big-city noise pollution, and little cafes with the best cakes in the world (warning: mostly open Saturday and Sunday) – and Dresden is also not far away if you ever need the hustle and bustle of the big city or feel like going shopping.